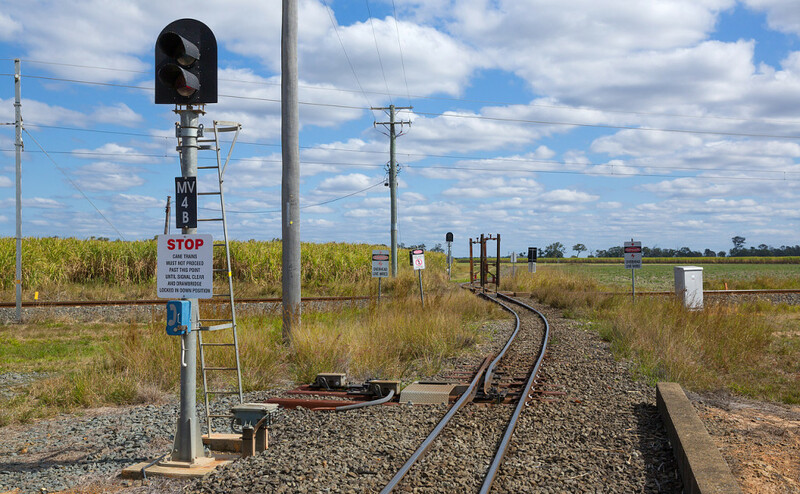 Home > Market Sectors > Below Rail Infrastructure > Is this Australia’s weirdest railroad crossing? Is this Australia’s weirdest railroad crossing? 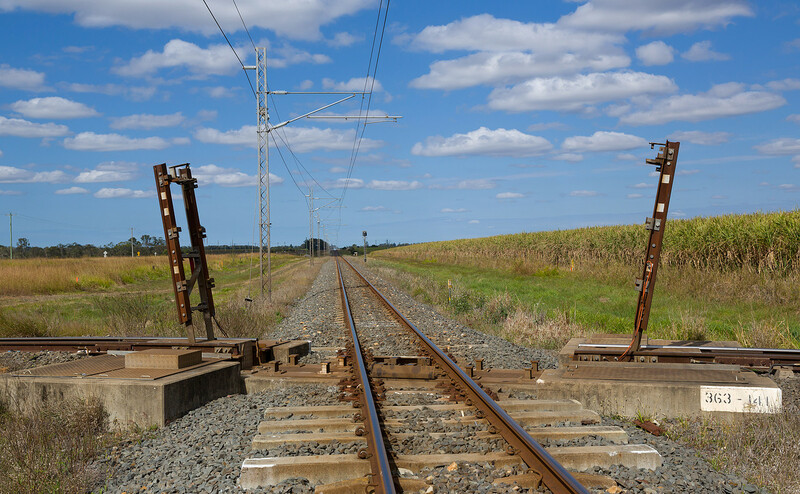 PHOTOS/VIDEO: This drawbridge style cane train crossing over the QR main line near Bundaberg is a site to behold. Take a look at the crossing in action in the video below. I wonder if this is unique or are there any other similar crossings anywhere? The solution for many occupation crossings with infrequent use, and possibly some road crossings also. A balanced bascule bridge presents something far more effective than a flimsy barrier, and there is no issue of having to fit crossing over plain track, and remove it for track maintenance. I can think of a few notorious private crossings in the UK where this would make a very effective solution, after all it works for almost every ‘at grade’ road or rail crossing of a canal or navigable river! 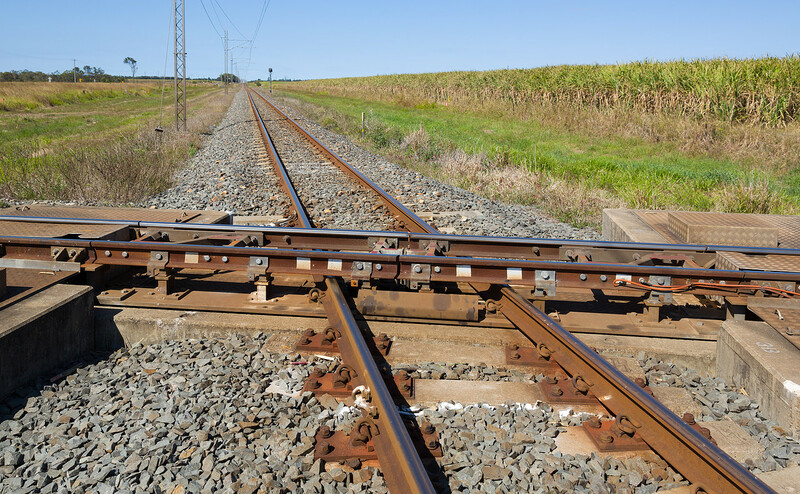 It would also mean no gaps in third rails where that system of electrification is used. & less risk of smashing off shoegear with the frequent drop/pick-up on the third rail. Does the engineer open the rail from the train? Or, does the oncoming train trip a switch embedded in the rails? 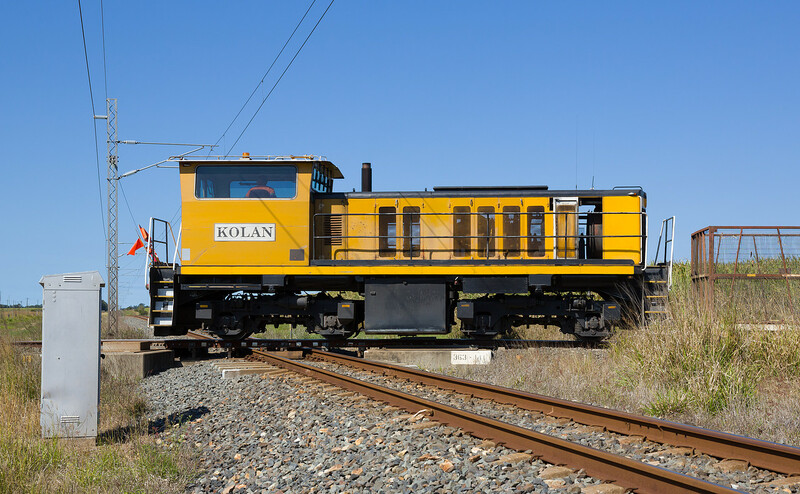 The Cane Driver operates a trackside switch to indicate a request to the Queensland Railways Network Controller located in Brisbane. If there is no QR rail traffic imminent, the Controller sets a route over the Tramway Crossing, the QR Main Line signals go to ‘stop’, the drawbridge lowers and signal MV4B clears. After the Cane Train clears the crossing the drawbridge raises and when fully raised the QR Main Line signals go back to ‘proceed’. A second crossing like this exists just south of Bundaberg at a place known as Alloway. An OWLS [One Way Low Speed] diamond might also work here, without the mechanism of moving the track. I do wonder about the aerodynamic effects on the ‘open drawbridge’ as the passenger train passes at 160km/h. A mechanical / structural failure, and that thing will be sucked toward the side of the train. These drawbridges remind me of old photos of road crossings over the Listowel & Ballybunnion monorail in southwestern Ireland, closed in 1925. No humans in attendance ? A disaster waiting to happen .Reminds me oddly of the flat crossing at Portmadoc ,Wales where the narrow gauge Welsh High Railway ,2ft ,crosses the standard gauge Pwhelli to Machllyeneth line .4 ft 8 half inches .Except with out the lifting bits of course! I’m pretty sure I’ve seen a photograph of one similar to this over here (GB) which was installed during the last war. I can’t recall where it was though. I believe it had military connotations. Anyone help? The fewer diamonds, switches, etc, the less wear and tear on both rolling stock and track structure, hence lower maintenance costs for the QR. You know who else has a similar crossing? Disney World, where the Magic Mountain Ride cars cross the WDW Railroad line! That’s awesome! And a brilliant idea! That could be practical for even more diamonds in other areas, though the bridged track would never be able to be traveled very fast. That could be handy for the CSRM (California State Railroad Museum) to cross the main line between their facilities.